The BJOY ring allows you to quickly adapt your wheelchair joystick so it can be used to access a computer or communication aid. Regardless of the applications you use, you can take full control. 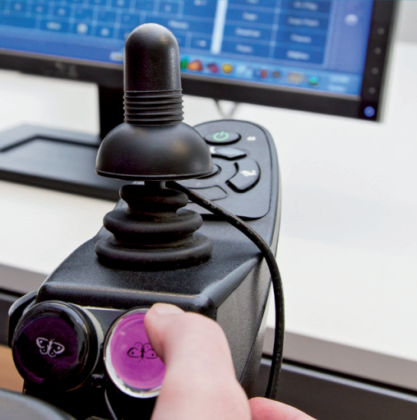 The completely configurable BJOY software allows you to adjust the sensitivity, pointer speed, functionality and more so that the BJOY ring is configured to your needs. Mouse clicks can be assigned to switches, setup is quick and easy. Connect up to four receivers for multiple device control. 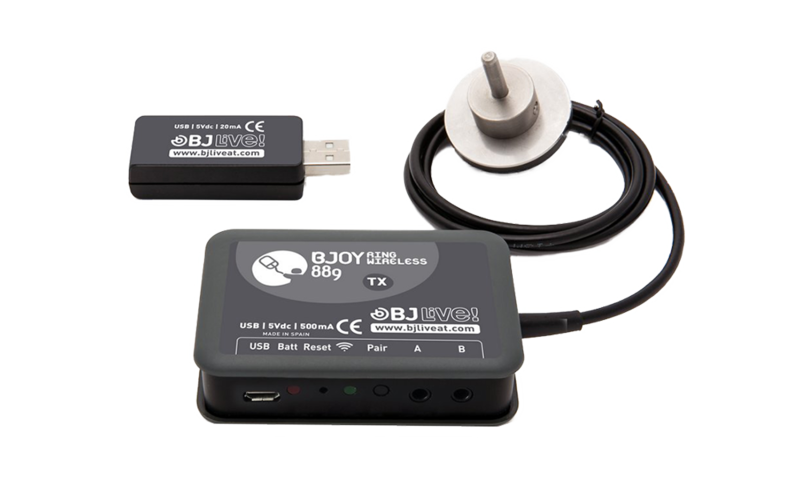 Store your setting on the BJOY device to make device switching quick and easy. Fully compatible with Grid 3 and The Grid 2. Connects to Windows and Android device via Bluetooth. A wired version of the BJOY is also available, please contact us for further information.